Bisma Eight lies in the heart of natural and cultural of Ubud. 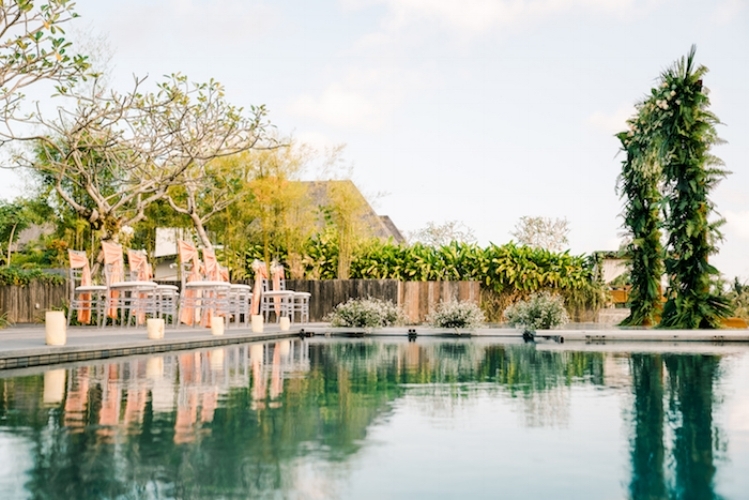 A petite luxury, privately owned-boutique with a tropical modern personality rooted in the artisan heritage of central island of Bali where ancient traditions are still practiced, and the authentic Balinese culture is well-preserved. 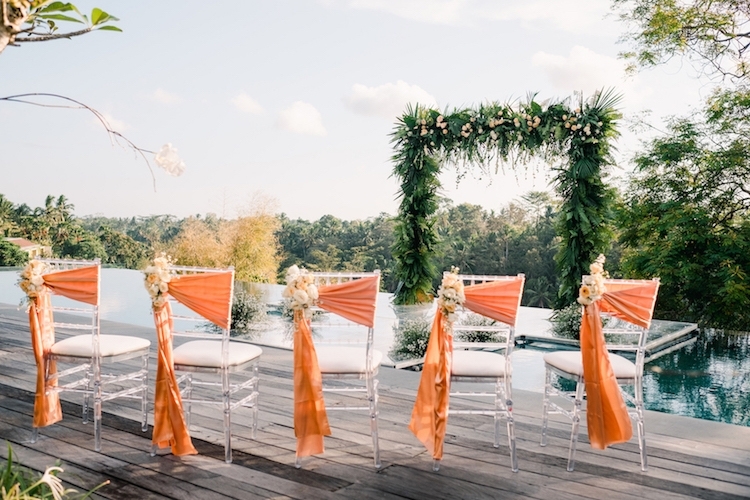 Located in the prime area of Ubud village facing the western atmosphere capturing the island's most romantic sunset moments, its charming green rooftop, picturesque Ubud forests and volcanos make Bisma Eight the most sought-after destination in Ubud for unforgettable and truly Ubud wedding venue. 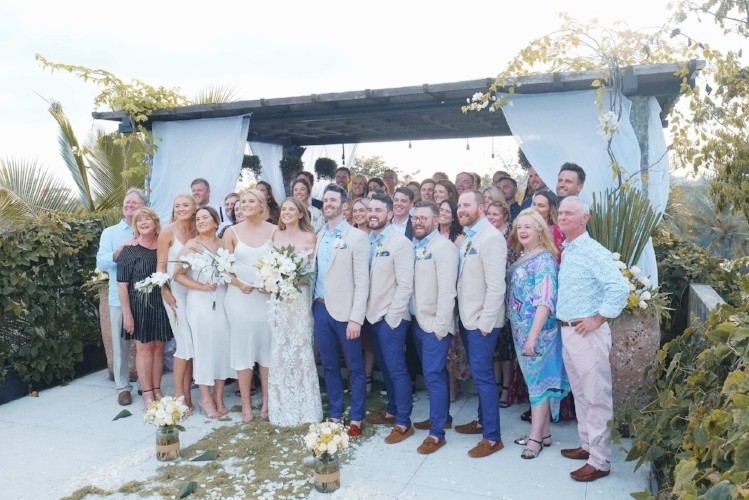 Forest Pool Wedding ceremony with capacity up to 100 guests with 40 seated guests, and 80 seated guests in beautifully decorated round tables of eight people for the wedding reception. 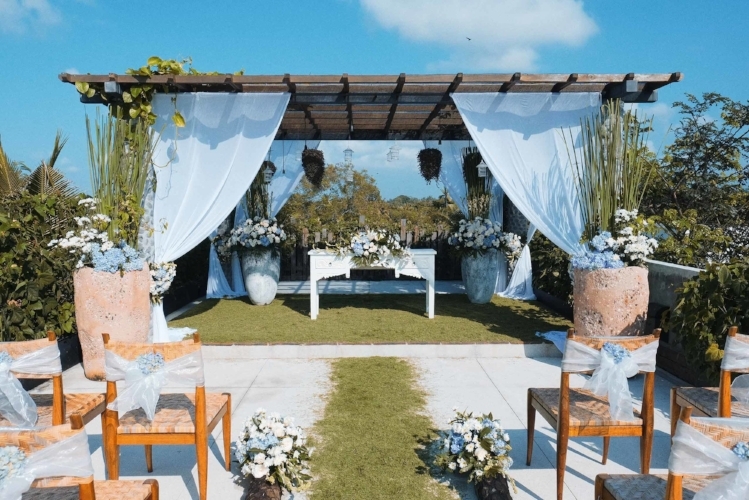 Bisma Eight’s got everything covered; A perfect location close to central town yet it checks all the boxes as a beautifully intimate setting with an emphasis on top-notch food and beverage for all wedding guests.